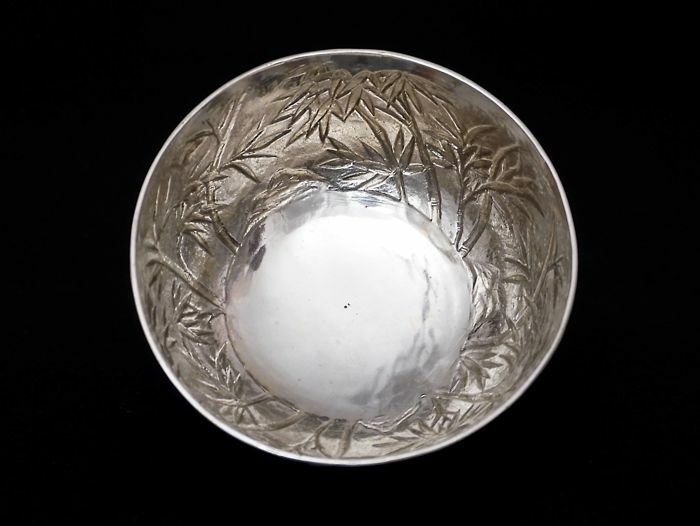 Sterling Silver bowl- Canton- China - late 19thc. 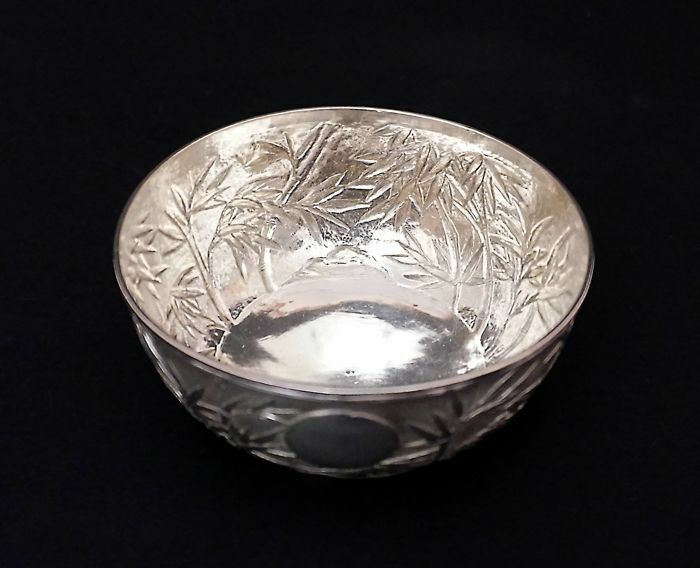 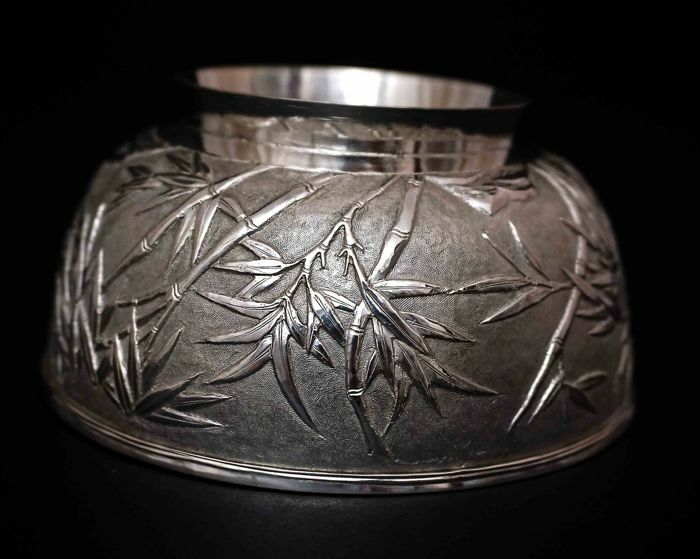 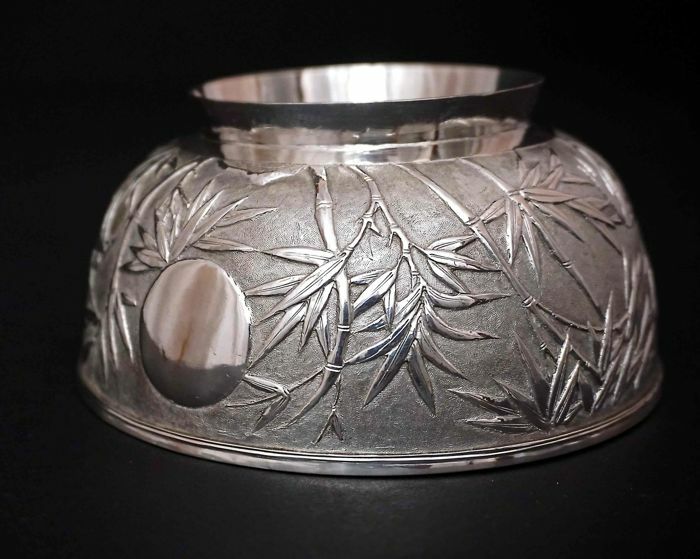 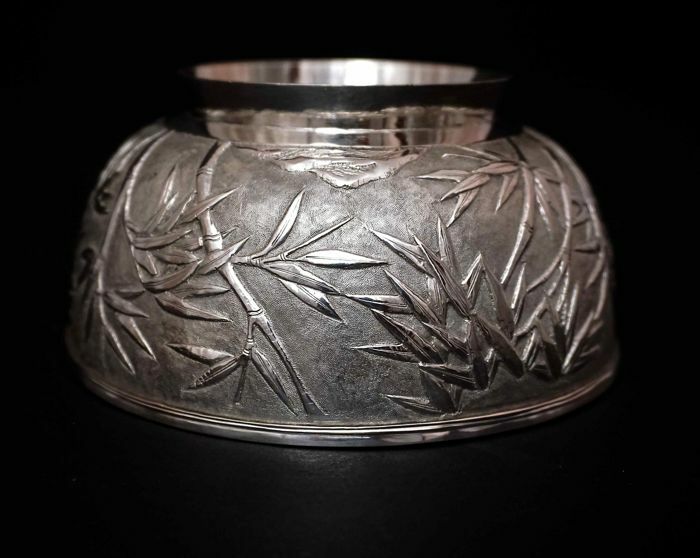 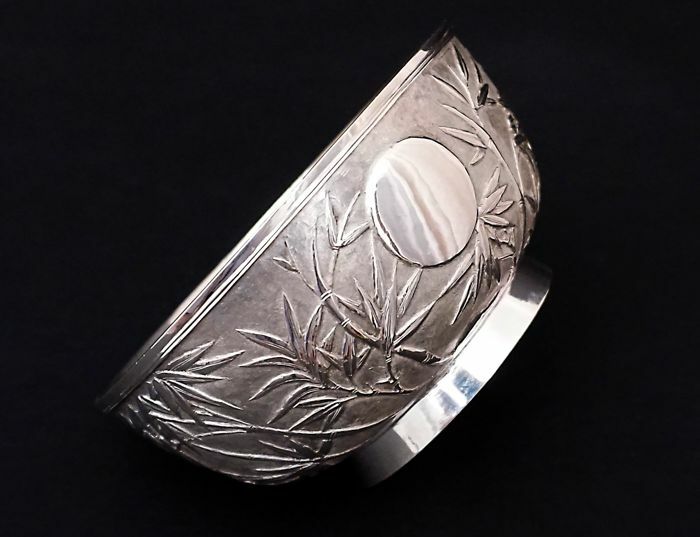 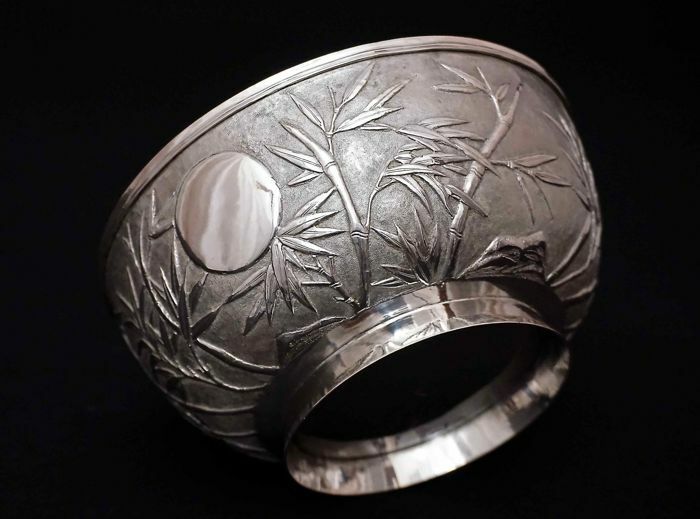 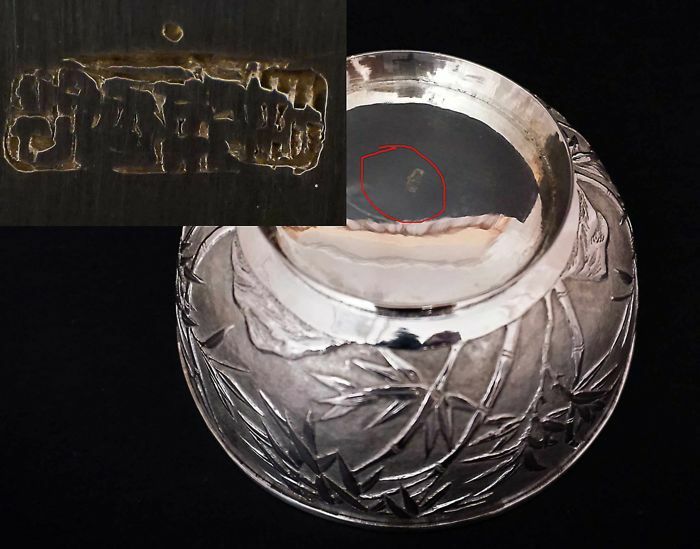 Sterling silver repousse bonbon dish in bamboo design. 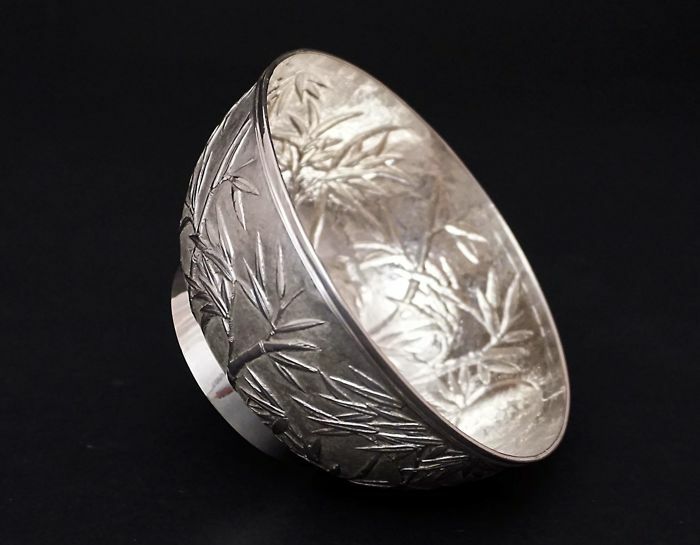 Made of sterling silver 900/1000. 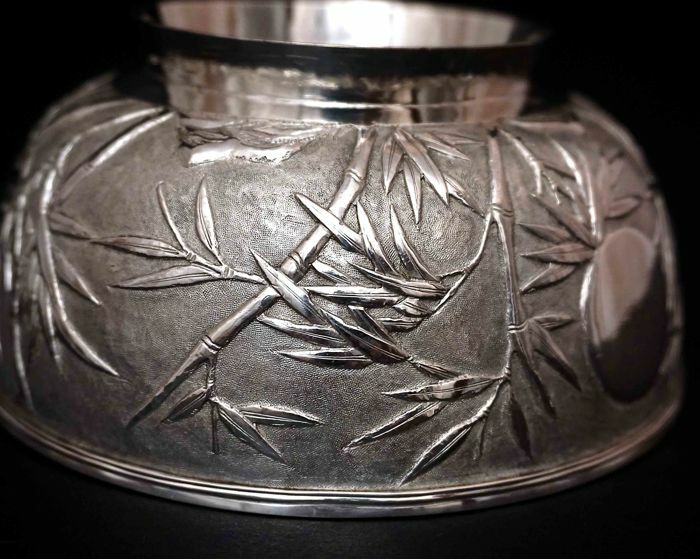 Was created in China, in Canton in the late of 19th c.
There is hallmark at the bottom. 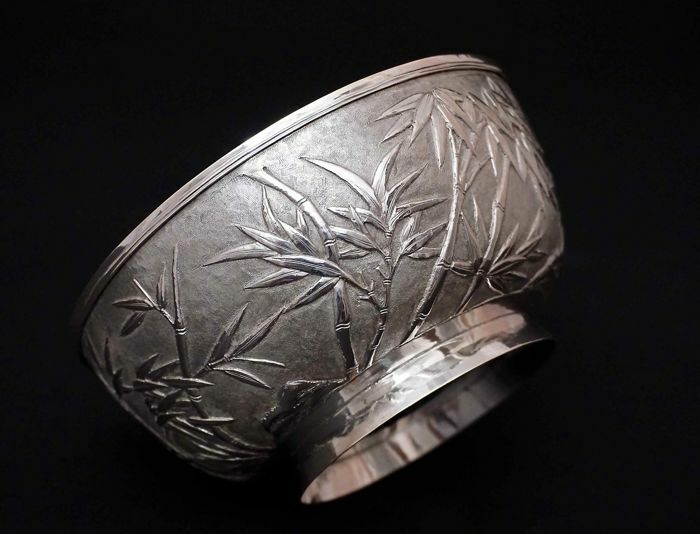 Weight of silver 166 grams, height 6 cm.